Friends, U know that Video Lan network present VLC media player is very popular in the world. In this VLC media player has many featuers. Some of the features in this media player. One of that type of feature is we can access this media player with out using mouse. There is plenty of short cut keys available. Check out those short cut keys below. 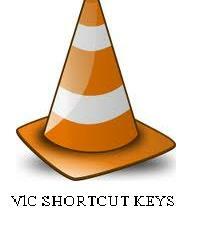 [ALT] + [F4] Quit VLC Media PlayerWe can see this short cut keys on VLC media player Tools-Preferences-Hot keys.